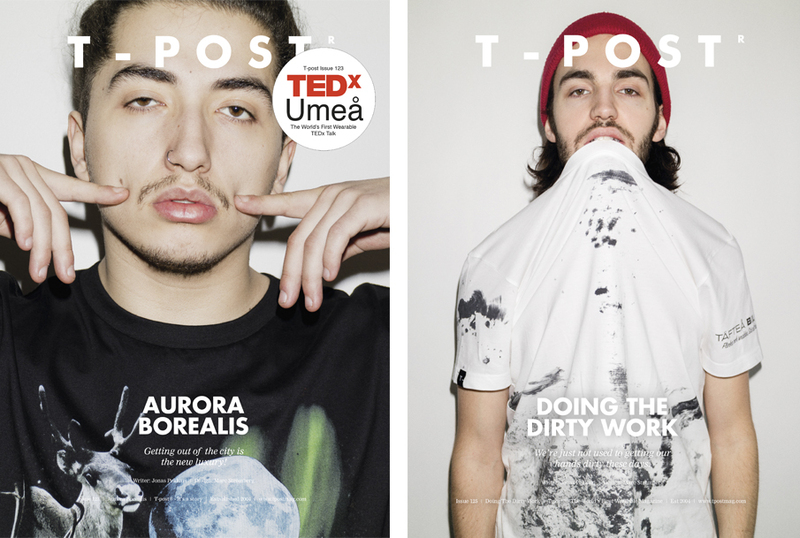 The idea of T-post came after a heated discussion about whether or not the classic magazine could be given a new life if combined with something completely different. 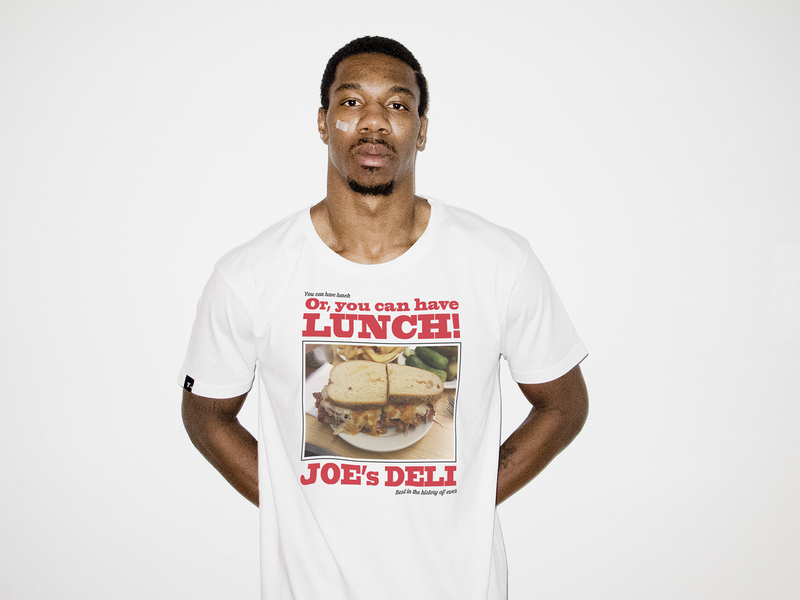 After many not so good combinations something happened when we combined it with a T-shirt. 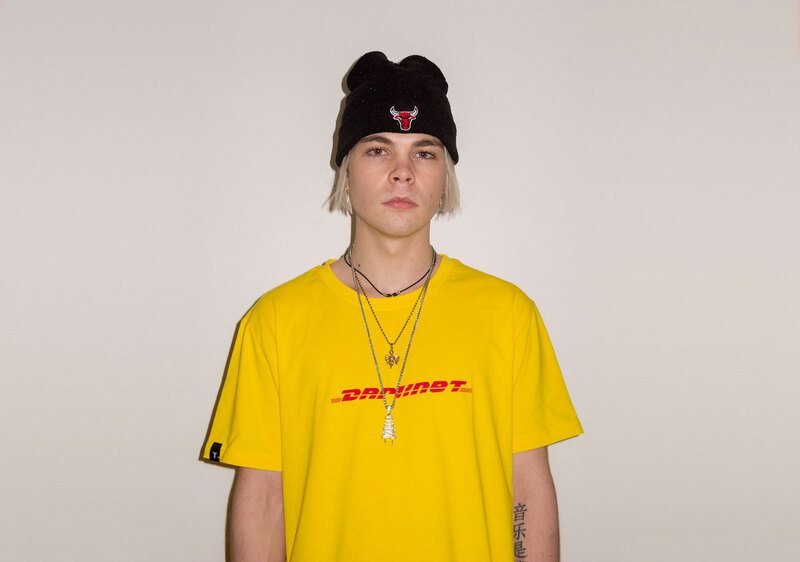 By placing the magazine front and center on a T-shirt, visual for everyone to see, we created a walking and talking billboard ready to discuss whatever topic they where wearing for the day. 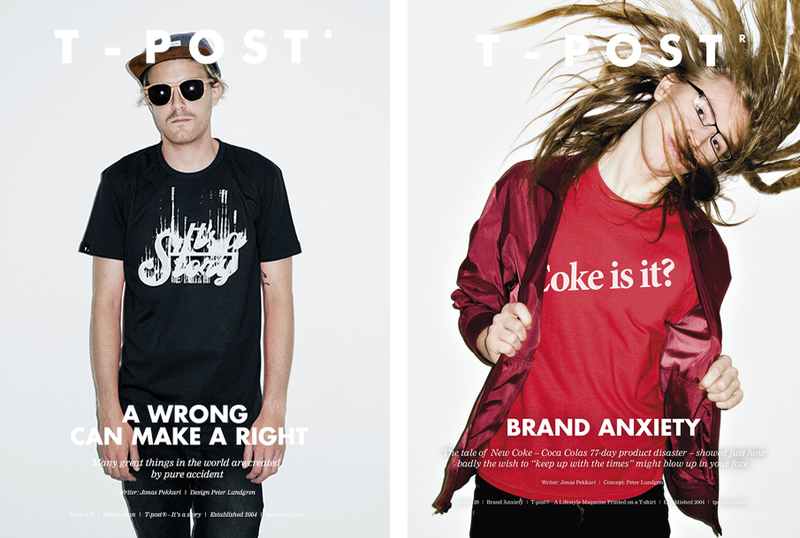 And suddenly there it was, the world’s first lifestyle magazine printed on a T-shirt. So how does it work, exactly? 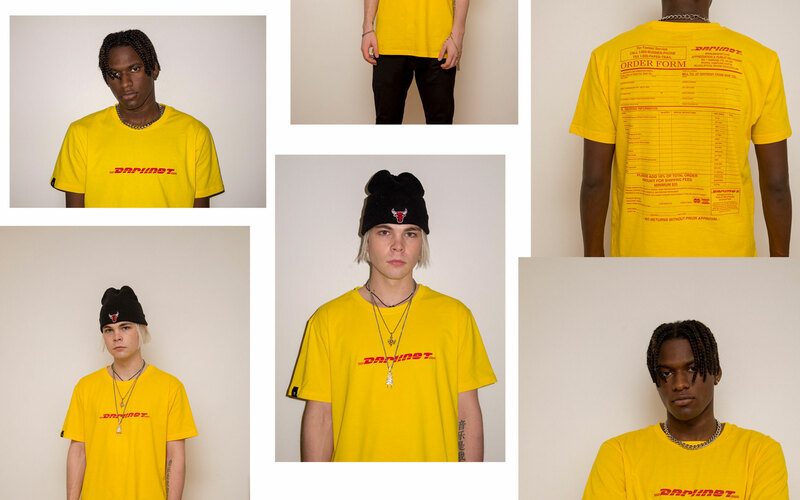 Every monthly issue comes with one story printed on the inside of every T-shirt and a graphically interpreted print on the front. 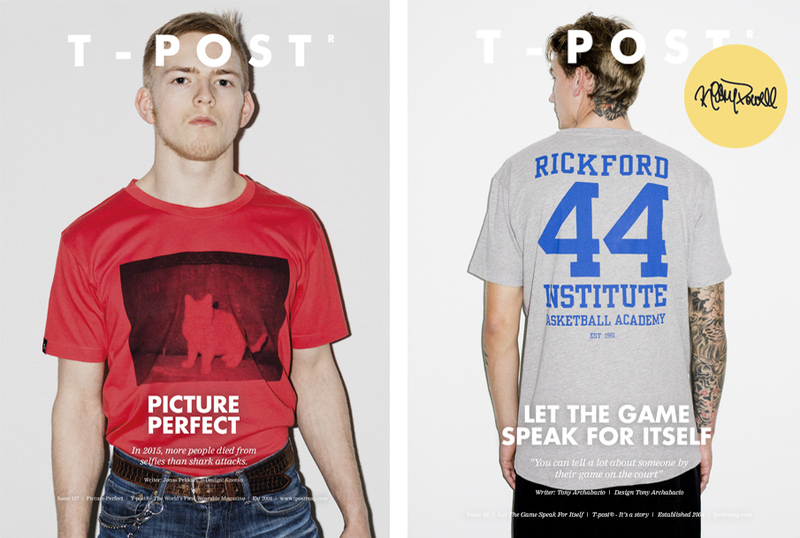 To keep the exclusivity of T-post®, all T-shirts are made in a limited edition and released only through subscriptions. We started out by giving our first issue to 5 subscribers (our staff). 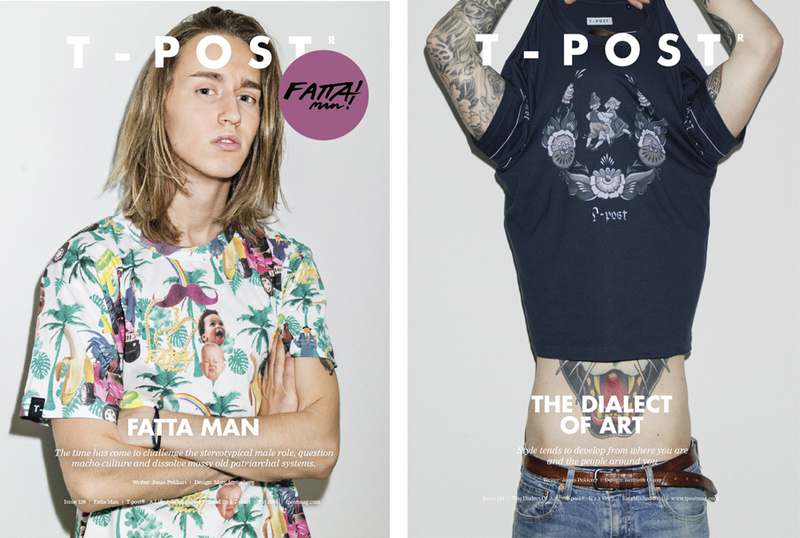 From there, the word began to spread and at the time of writing, 130 issues have landed in thousands of mailboxes; from the American west coast, through the northern suburbs of London to Tokyo’s hipster block Shimokitazawa as the costumers are located in over 50 countries. 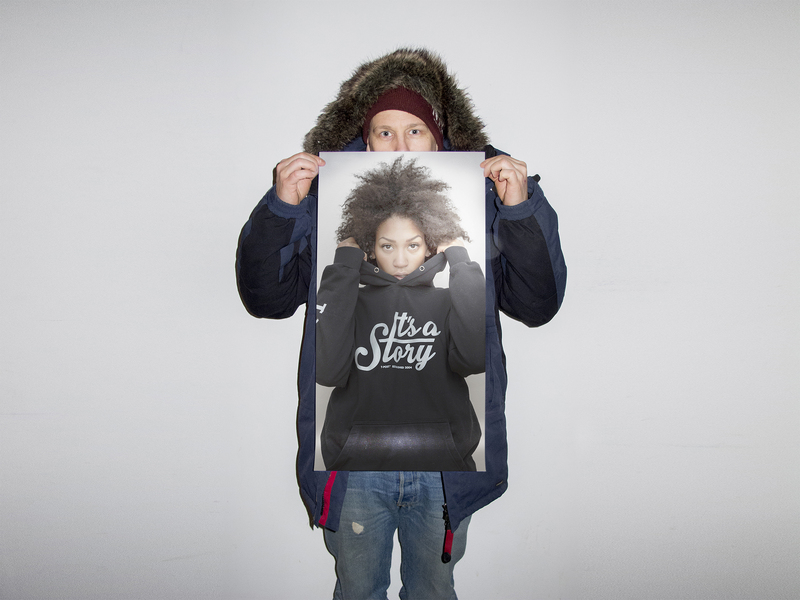 With our roots in the northern part of Sweden and classic street wear culture, we have done collaborations with legendary brands like Staple and Alife, and legendary personalities like HAZE and Ricky Powell, together with a long list of artists and designers around the world.